The parathyroid glands are two pairs of glands found on the surface of the thyroid gland that secretes parathyroid hormones. The parathyroid gland is also part of the endocrine system just like the thyroid gland. A parathyroid hormone is a substance that helps regulate the calcium level in the body. The body needs calcium to make teeth and bones strong. A normal calcium level in the bloodstream is very important for the normal function of muscles and nerves. 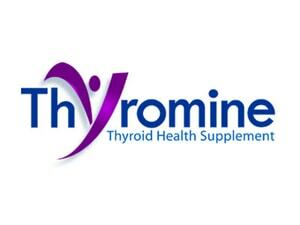 The parathyroid hormones are the one responsible for raising the amount of calcium in the bloodstream. It removes calcium from bones by increasing the amount of calcium included in one’s diet and decreasing the amount of calcium being excreted in the urine. If one or more parathyroid glands become overactive, it secretes too much parathyroid hormones or PTH, thus an individual will then suffer from a disorder called hyperparathyroidism. If one or more parathyroid glands become underactive, it is referred to as hypoparathyroidism. In this condition, the parathyroid glands fail to secrete enough parathyroid hormones to regulate the calcium level in the body. Hyperparathyroidism and hypoparathyroidism are both examples of parathyroid diseases. Parathyroid diseases are more common to adults than in children. Parathyroid glands are within the endocrine system. It is easy to detect and diagnose parathyroid disease by measuring one’s hormone. An individual’s parathyroid hormones will be measured and compared to the amount of calcium found in the blood. All endocrine gland hormones and all other hormones in the body are found to have a normal level in the blood. If an endocrine gland is found to develop a tumor, it will overproduce its hormone. In the case of a parathyroid gland tumor, it over produces parathyroid hormones or PTH which in return takes out the calcium from the bones and puts it into the blood. What makes an individual sick in this case is the high level of calcium in the blood. A blood calcium level that is too high and is associated to a high parathyroid hormone level is usually due to a tumor in the parathyroid gland. Studies show that since 1925, the standard treatment for parathyroid disease is to surgically remove the parathyroid gland(s) which are overproducing parathyroid hormones. Since it is a hormone problem, what surgeons do is to remove the source of the excess parathyroid hormone and just leave the normal parathyroid gland(s). Surgeons look for the parathyroid gland(s) that has become a tumor and also look for the cause of too much parathyroid hormone production. The parathyroid gland(s) will then be removed. The normal parathyroid glands will take over in secreting parathyroid hormones.